(MPRN-Lansing) Democrats in Lansing want to make schools get rid of mascots that may be considered racially insensitive. The legislation would prevent all kinds of potentially racially insensitive monikers – from the Escanaba Eskymos to the Athens Indians. Some schools say they aren’t racist and the communities have a proud history with these mascots. Democratic Senator Ian Conyers is a bill sponsor. If a school wants to keep a mascot it would have to get a waiver from the state Board of Education and Department of Civil Rights – or risk financial penalties. The mascot issue recently came up when Paw Paw school district wanted to keep its mascot – the Redskins. The school board voted to keep the nickname. Proponents say it is a point of pride and not racist. (MPRN-Lansing) The use of Native American logos and images for school mascots is once again in the spotlight. On Thursday Michigan Attorney General Bill Schuette weighed in on whether the State Superintendent can withhold money from schools that refuse to change their mascots. Paw Paw Schools Will Keep Calling Teams "Redskins"
Paw Paw’s public school district has decided to retain a controversial Native American-themed mascot, and might use it even more than it does now. School board members voted 4 to 3 Wednesday to continue using the “Redskins” name and logo for high school sports teams. It will also allow younger students’ teams to use the name. Meetings about the issue drew large crowds; hundreds packed a high school auditorium for the final vote. This year’s Michigan Festival of Sacred Music will feature a performance by Gary Stroutsos. 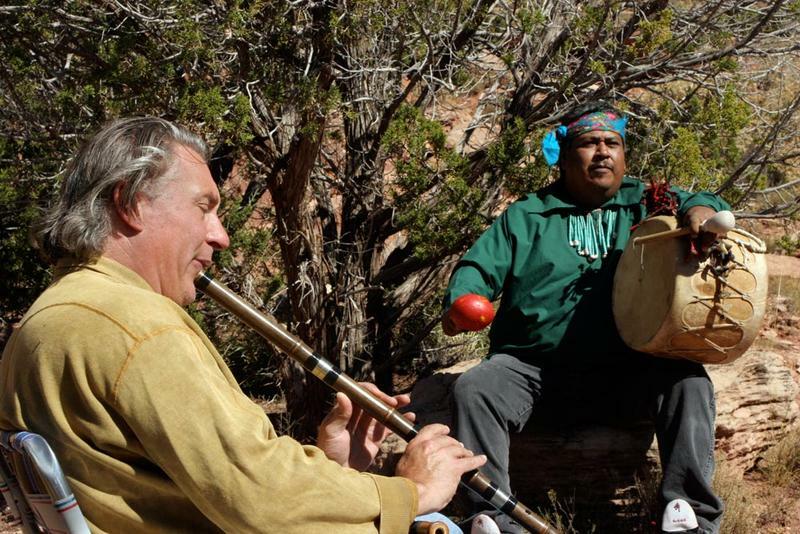 He’s a flutist from Seattle possibly best known for playing Native American styles. Stroutsos will play Saturday, November 11th at 11 a.m. at the Kalamazoo Nature Center.